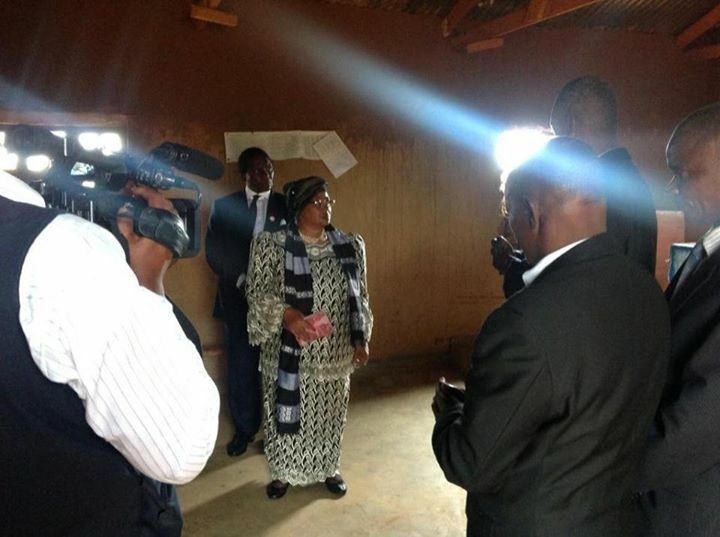 President Joyce Banda this afternoon paid a visit to the Area 36 Seventh-Day Adventist church that was struck by a lightning on Saturday killing at least 14 people. The President made a visit shortly after her arrival from Nigeria where she had gone to praise at TB Joshua’s SCOAN. The President had earlier told journalists that she was forced to cut short her visit in Nigeria due to the tragedy. However, on her departure the state house had announced that the President would stay in Nigeria for three days and on a private visit. Yapita ija“A relation to a former President to win next year’s Presidential elections,” says local prophet. To cut short her visit!! She is mad. Hope she didn’t go to make this horrible deaths happen. Just thinking…. Bodza ai apa, kodi m’mesa state house inatiuza kuti ubwera patatha masiku atatu? Kodi kuchokera lachisanu kufika lero ndi masiku atatu? Tadziwa kuti ku Nigeria unapitira mapemphero angozi m’dziko muno. Tiyeni tiwona ngozi zambiri chifukwa cha ulendo umenewu. R5CFOh Very interesting subject , appreciate it for posting.